This cake is spectacular. A light sponge laden with lemon syrup that has your mouth singing ‘partaay’. And the candied lemon topping combined with edible flowers is so beautiful and impressive, it is sure to bring up your baking cred. The lemon poppy seed cake is a trans-seasonal fave, and this recipe by cake queen, April Carter is the business. To make the candied lemon, slice each lemon into thin slices. Line a baking tray with baking parchment. Heat the sugar and water in a large saucepan over a medium heat until the sugar has dissolved. Once the sugar has dissolved, place the lemon slices into the saucepan in layers and cover with baking parchment to keep the lemon submerged. Simmer for 30 minutes, or until the lemon slices are translucent and the peel is tender. Transfer the slices to the lined baking tray and leave to cool and set for several hours, or overnight. Preheat the oven to 170°C (335°F/Gas 3). Grease the cake tin and line the base with baking parchment. Using a stand mixer or electric hand mixer, beat the butter and sugar until the mixture is pale and fluffy. Add the beaten eggs a little at a time, beating after each addition until they’re well incorporated. Sift the flour, baking powder and salt into a clean bowl. Add half of the flour mixture to the butter mixture and beat until just combined. Pour in the milk, continuing to beat, then add the remaining flour mixture and beat until just combined. Fold in the poppy seeds and lemon zest. Bake in the oven for 30–40 minutes, or until a skewer inserted into the centre of the cake comes out clean. While the cake is baking, make the lemon syrup. Heat the lemon juice and sugar in a saucepan over a medium heat stirring occasionally until the sugar has dissolved. Use a skewer to make some holes in the just-baked cake, and pour over the syrup. Leave the cake to cool in the tin then remove and place on to a wire rack. To make the lemon drizzle icing, mix the icing sugar with enough lemon juice to form a runny but opaque icing. Pour over the cooled cake and decorate with the candied lemon, poppy seeds and the edible flowers. 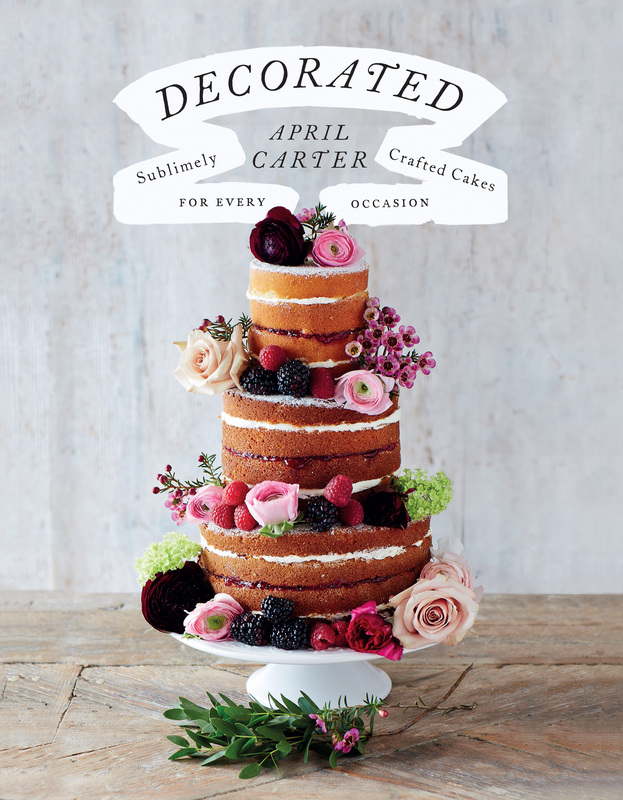 Recipe and image from Decorated: Sublimely Crafted Cakes For Every Occasion (Hardie Grant Books) $39.95, available now.